Deep blue crystals together with silvery metal look sophisticated and subtle. 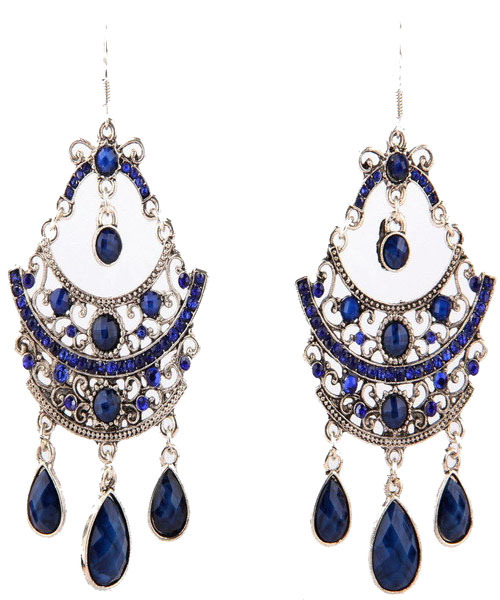 The body of the earrings has three metal arcs embellished with little blue beads. Three crystals are dangling like raindrops. Buy this gorgeous piece of fashion jewellery online today and get fast delivery within days.